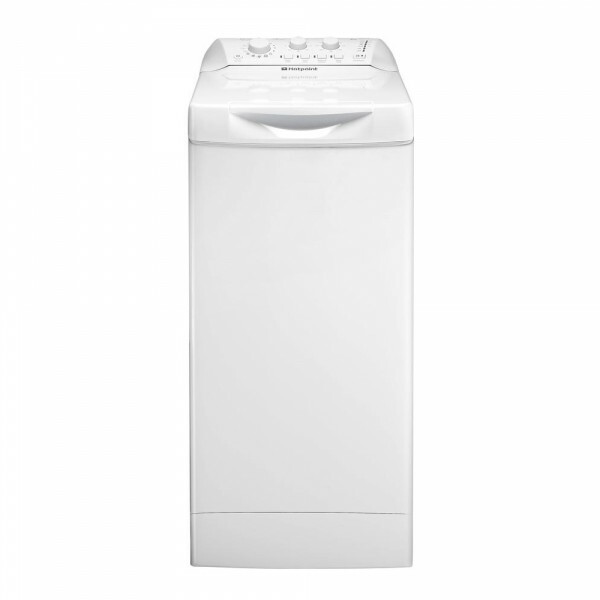 Product information "Hotpoint WMTF722H Top Loader 7kg Washing Machine"
The Hotpoint WMTF722H 7kg 1200rpm Top Loader Washing Machine is a white washing machine that is rated A++ for its energy efficiency and B standard for class efficiency. The Top loader washing machine from Hotpoint has earned its well-deserved status due to its versatility, high-performance and durability. The WMTF722H features special programmes such as wool cycle, cycle quilts, delicate fabrics, baby garments and cotton cycle. The Hotpoint WMTF722H 7kg 1200rpm Top Loader Washing Machine has a smooth door opening and can be used 7 days a week without any complications. Various options available include variable temperature, spin variable, pause on and off feature and an adjustable feet. The child safety feature can be used to lock your washing machine if you don't want your children playing around with it. The Hotpoint WMTF722H 7kg 1200rpm Top Loader Washing Machine has 18 number of programmes and has a LED user interface for convenient operation. It also has an inner light, drawer objects and a capacity of 7KG. As compared to other standard washing machine, this Hotpoint WMTF722H does not make much noise with just a noise level of 59dB (A). The drum volume is 42lt and weighs just 62 kg. This top loader washing machine from Hotpoint is a well-deserved treat to every household who just need a high-performance machine to reduce your washing work experience. Related links to "Hotpoint WMTF722H Top Loader 7kg Washing Machine"
Customer review for "Hotpoint WMTF722H Top Loader 7kg Washing Machine"